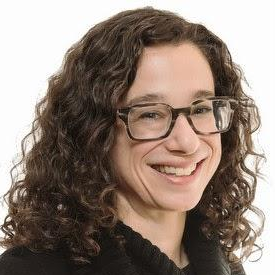 Tamar Charney is the managing editor for NPR One where she creates and executes new editorial strategies for programming a unique and customizable mix of the best international, national, and local public radio news that is blended with hand curated podcasts. NPR One’s localized and personalized stream of content can be accessed on the NPR One app, as well as, through Alexa, xBox, car dashboards, and TV’s. Prior to managing the content strategy for NPR’s state of the art listening experience, Tamar was the program director of Michigan Radio where she managed on-air, online, and news strategy. Before, that she produced talk shows, documentaries, and news programs for the station and previously had been a reporter and editor at Michigan Radio. She has held a variety of jobs at other public radio stations including WDET and WEMU. On the side, she writes and does voice-overs for a variety of clients. Charney was a presenter on the panel AUDIO: From podcasts to Alexa, Hey Google and Siri, journalism is raising the voice at ISOJ 2018 on Saturday, April 14 @ 5:00 p.m.